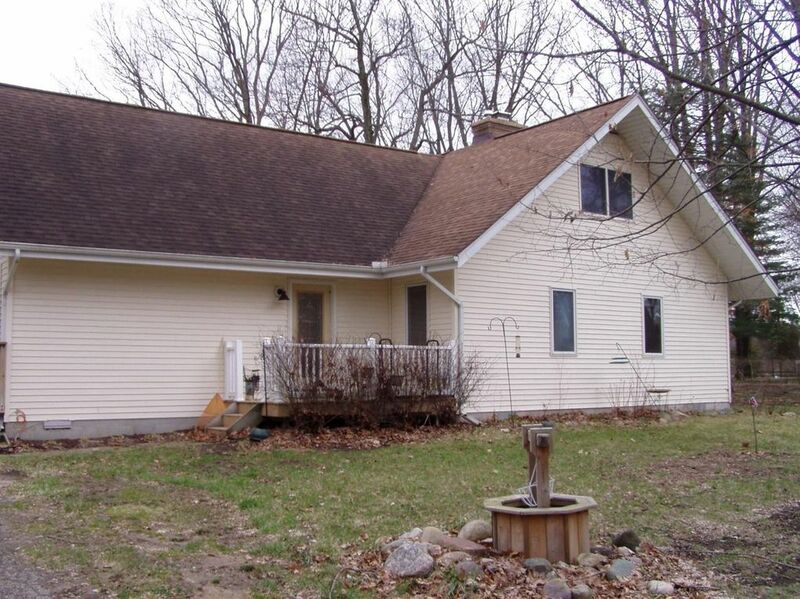 This is a lovely updated contemporary home located on a quiet wooded one acre lot. It is located five minutes from US-23, ten minutes from I-94, and 15 minutes from downtown Ann Arbor. Rolling Hills, Hewen's Lake and Sandra Richardson Park are minutes away. Augusta Township has the lowest Taxes in Wash. County. Solid Well built house has a first floor master bedroom, a large great room with vaulted ceilings, a breakfast bar, fireplace, and recessed lighting. Updated kitchen with granite counters and stainless steel appliances. Beautiful Oak trim, new interior doors and light fixtures and switches. Ample closets throughout, and a large utility room. Wood case windows, two level private wrap-around deck, a 90+ effic. furnace. Easy to show. Move in condition. 24x16 Pole barn offers ample storage.